KIDS FIND $98,000 - GET TO KEEP IT! BOULDER, Colo. -- Three Boulder County children split more than $98,000 after finding the cash in a field last February and turning it in. 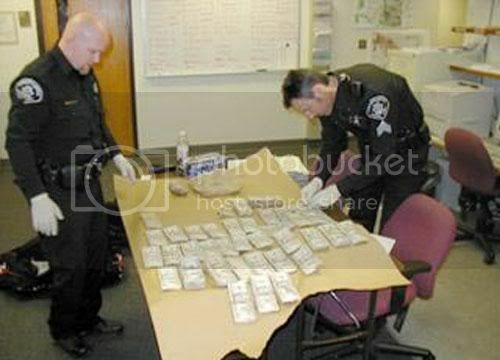 The children were walking through a field on Feb. 14 when they came across a duffel bag filled with stacks of bills. The bag appeared to have been left in the field for some time and the bills were wet and moldy. The children took the money home and then turned it in to the Boulder County Sheriff's Office, which said it could have been drug money, but finally determined it was not related to any current case. "The kids are dividing it among themselves," said one of the children's mother, who spoke to the Boulder Daily Camera on the condition of anonymity Monday out of concern for her family's safety. "It is a pretty good start on college savings, so they are happy about that." The sheriff's office presented checks totaling $98,100 to the parents of the three children Tuesday. It is the largest amount of money ever found in Boulder and turned in, according to West. $32,700 each...that'll buy one year of college. Pretty dumb to turn it in considering the cops could have just held on to it. At least the cawpz gave it back to the niños.